There are some people that are just crazy about fall, and when we really get down to it, what is there not to be crazy about? The colors are beautiful, the scents are bold and warm, clothes get layered and cozy and it’s all around just a great time of year. Here at The Skin & Body Spa, we believe that fall should be enjoyed to the absolute fullest, and that’s why we have created a few fall specials that are made with fall lovers in mind. Enjoy a soothing pedicure that begins with a warm apple cider foot soak. We will exfoliate your legs and feet with an apple cinnamon scrub and then massage them with a warm, delicious apple cinnamon infused cream. Following this, we will wrap your feet in a hydrated paraffin and put in warm booties. Top this pedicure off with your standard cuticle care, callus smoothing and a nail color of your choice. Enjoy this pampering and relaxing spa treatment while sipping on a caramel apple martini or some warm apple cider, and enjoying a homemade apple blondie bar! If you’re a fan of facials, this is one that you need to try. 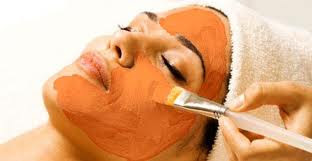 The pumpkin chai facial includes collagen boosting pumpkin pomegranate peel, relaxing massage, extractions and a finishing mask that leaves your face glowing and refreshed. We will also massage your hands and feet with our lotion that is infused with pumpkin spice. Our apple cinnamon facial is done with fresh pickled apples. During your facial we will cleanse, exfoliate, extract and massage your face and shoulders. Finish this spa treatment off with a hydrating finishing mask and a soothing massage to your hands and feet with our massage lotion that has been infused with apple cinnamon. If any of these sweet specials listed above sound like something that you would most certainly enjoy, make sure to contact our office and set up your appointment. We can’t wait to pamper you with these high quality services that will leave you feeling fresh and beautiful.